With extraordinary emotional power, Linda Olsson's stunningly well-crafted debut novel recounts the unusual and unexpected friendship that develops between two women. Veronika, a young writer from New Zealand, rents a house in a small Swedish village as she tries to come to terms with a recent tragedy while also finishing a novel. Her arrival is silently observed by Astrid, an older, reclusive neighbor who slowly becomes a presence in Veronika's life, offering comfort in the form of companionship and lovingly prepared home-cooked meals. 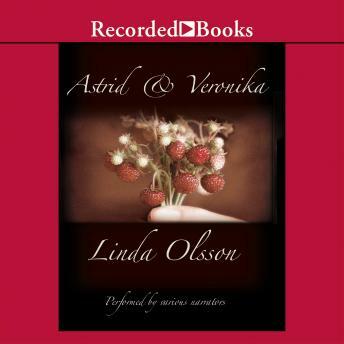 Set against a haunting Swedish landscape, Astrid & Veronika is a lyrical and meditative novel of love and loss, and a story that will remain with readers long after the characters' secrets are revealed.